Lonely this Christmas - Can You Help? "It'll be lonely this Christmas, Without you to hold..." the song goes. How many times will we hear those words in lifts, department stores and shopping centres this Christmas? As we go home to our warm homes and loved ones laden down with bags, how many times will we walk past someone with no home and no-one to care about them? As temperatures go down, many of us are acutely aware of the people around us who do not have a warm home, a bed to sleep in, or enough to eat. Donations to food banks peak around Christmas, and we become increasingly aware of people sleeping in shop doorways, or otherwise in need. Society, the media and all those feelgood films and TV adverts tell us we should be having the time of our lives at Christmas, all that food, fun and family around us. But the reality for many is very different. 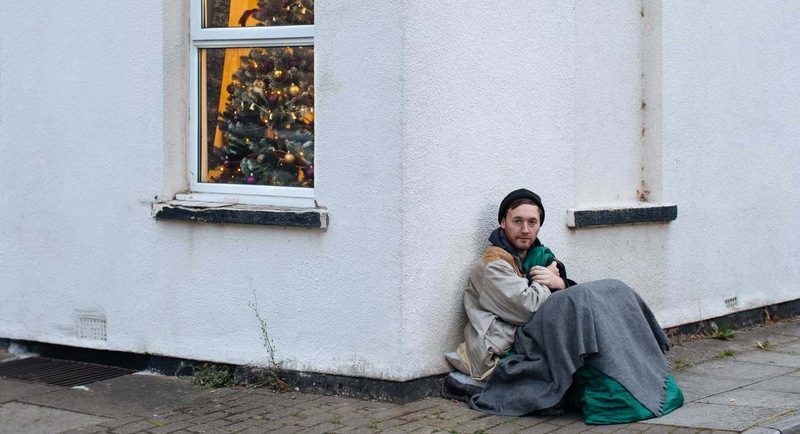 For many young people, being lonely at Christmas is all too real. UK charity Centrepoint estimates that as many as 18,000 young people will be at risk of homelessness this Christmas. Many of those young people are homeless as a result of family breakdown, abuse or violence. They have nowhere to go. Worse still they feel that no-one cares that they are sleeping rough, often too embarrassed to ask for help; or they sofa surf from one friend to another, continually feeling alone and unwanted. Many have left abuse or difficult, unhappy childhoods behind, perhaps never knowing the happy family Christmases many of us take for granted. They don't know where to turn or how to ask for help. One of those young people is Ben, who was told on Christmas Day that he was no longer welcome at home. He had ended up in hospital after an argument and was then told by a relative not to come home. After being discharged from hospital, he ended up sleeping on a park bench with one thin blanket and his medication. In pain and on the verge of collapse, Ben finally made his way to Centrepoint. There Nadeem sat him down, fed him and listened. For the first time, Ben told someone he was homeless and needed help. What homeless young people like Ben need most is someone to talk to, a safe, warm place to sleep, and some good food. Simple enough requests at any time of year. Last year Centrepoint helped more than 2,400 young people like Ben over Christmas. For many, the support offered has helped them move on in life. But before that they are able to enjoy a happy, fun festive time with jokes, laughter and warmth, just what Christmas should be. Not shivering under a blanket thinking no-one cares about you. 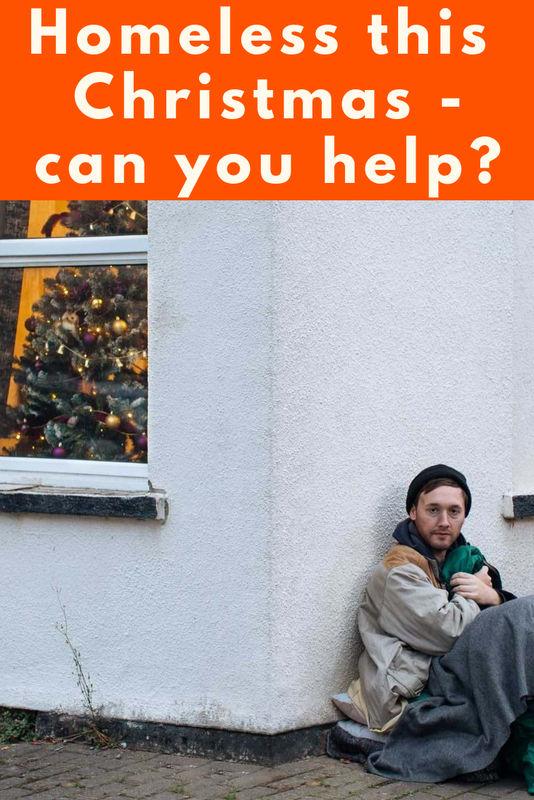 Can you spare a thought, some time and some money to help young people who are homeless and alone this Christmas? Can you make a donation to Centrepoint this Christmas? And what happened to Ben? Thanks to Centrepoint's guidance and support he now lives independently, has learned all the practical skills he needs like managing his finances, and is hoping to become an engineer. Just one of the 86% of young people who Centrepoint helps move on into their own homes, jobs or training, towards a better future. 9 out of 10 young people think that no-one cares that they are alone and sleeping rough. Let's show them that we do! Your donation today will help more young people like Ben to get off the streets, into a place where people do care. A place where they will have a warm, safe room to sleep in and good food to eat. Please donate today to help end loneliness for a homeless young person this Christmas. Thank you. What a great charity! Really needed at this time of year especially! One pub in my location is giving a free Christmas dinner to anyone on their own.Others could follow suit. A thought provoking and timely post. Thank you.